There's the basic rice krispie treat, perfect in its own right. I will never, ever bypass a rice krispie treat (Okay, unless it's the packaged kind. Those do nothing for me!). 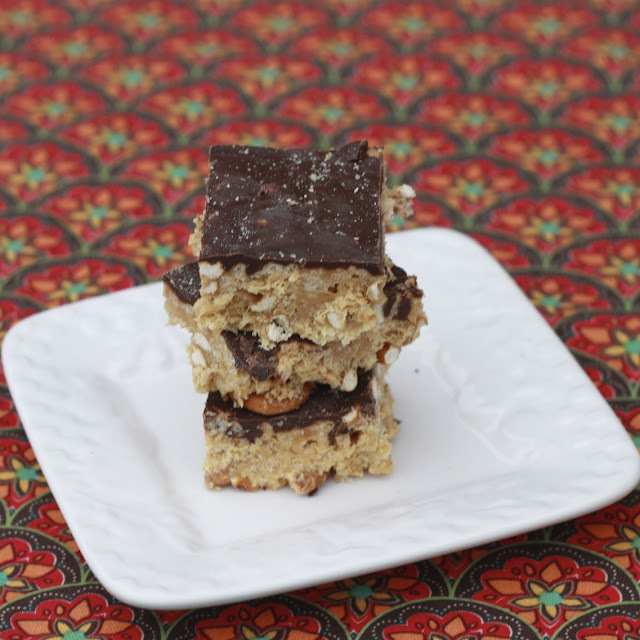 Then there are Cake Batter Rice Krispie Treats and Scotcheroos, kicked up variations of the classic when you're needing something special. And now? Now there are Chubby Hubby Rice Krispie Treats, another "kicked up" variation to add to your repertoire. 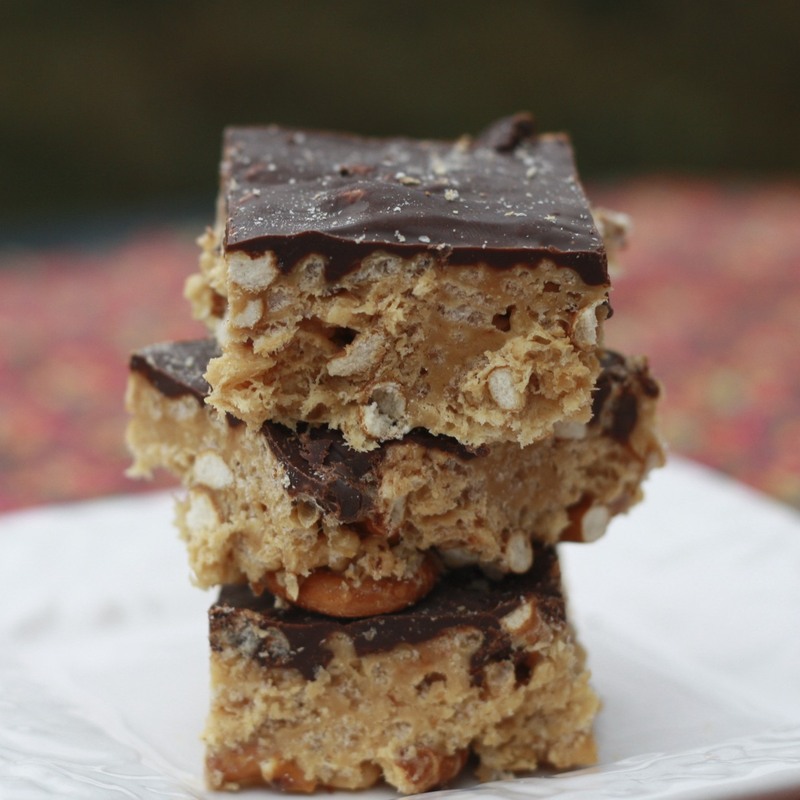 Named after the famed Ben and Jerry's ice cream flavor, these add peanut butter, chocolate, and pretzels to the basic recipe. Though I've yet to try Chubby Hubby ice cream (although I'm thinking an ice cream recreation needs to be in the works! ), I assure you that you can't ever go wrong with this combination...and I would know, because I'm pretty sure I polished off the majority of this batch! 1. Grease a 9x13-inch baking dish and set aside. 2. In a large saucepan over low heat, melt the butter. Add marshmallows, stirring occasionally, until completely melted. Remove mixture from heat and add peanut butter, stirring until melted and smooth. 3. Add the cereal, pretzels, and peanut butter chips, stirring to coat completely. Pour the mixture into the prepared baking pan and use a spatula to evenly disperse. 4. Microwave the chocolate chips in 30-second intervals, stirring after each interval, until melted and smooth. Chocolate melts easily in the microwave so be careful! Spread the chocolate out in an even layer with a spatula. Allow to cool at room temperature before cutting into squares. Store leftovers at room temperature in an airtight container.